Last Spring, Angel Jochi Hernandez-Camen (or Josh as he is more commonly called) learned that he qualified to play for the US team in the U14 section of the 2014 World Youth Chess Tournament. The tournament was held in Durban, South Africa on September 19-29. Josh and his mom, Celyne, raised money for the trip through fundraisers and scholarships. 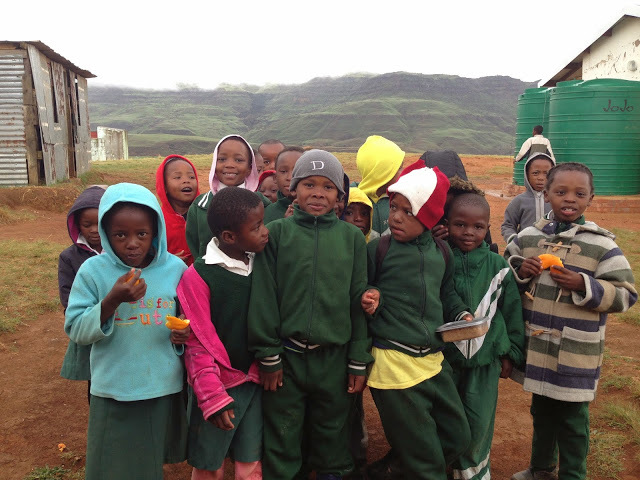 When they were planning their South African journey they came across a backpacker’s lodge in the Drakensberg Mountains that ran a volunteer program at a nearby village primary school. After some back and forth with the lodge owners and the school’s headmaster, Josh was able to arrange to start a chess program at the school. Following are his accounts (and some writing from his mom) about their experiences while volunteering at the school. 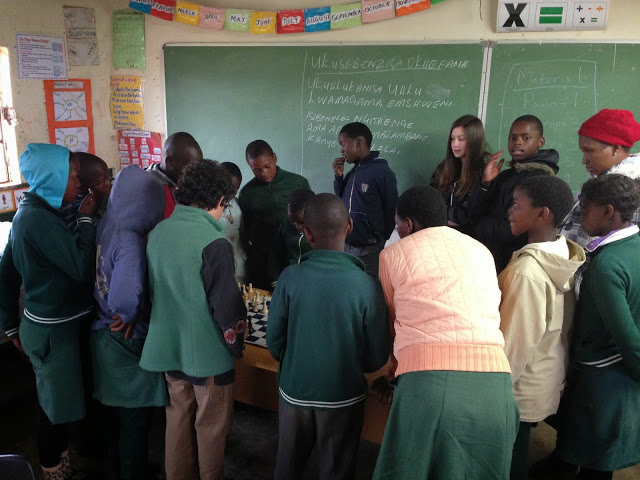 It is hard to say who learned more in the two days I taught chess at KwaPitela Primary school. I hope I started them on the road to playing chess at least. 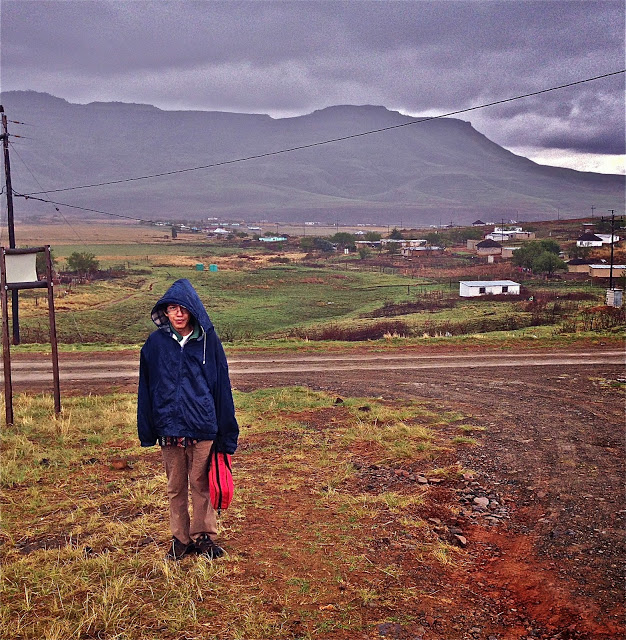 But more on that later… The morning after the World Youth Chess Tournament ended, we rented a small car, bought some groceries, and drove 218 kilometers to Himeville, a small town in the Drakensberg mountains. It would be my first sights outside of the city of Durban and into the country. Suddenly there were bulls and goats in the roads and small villages of rondavels which are traditional Zulu homes made of cow dung, reeds and plaster. We would live in one in the backpacker’s lodge we would stay at. In our trunk were a dozen chess sets donated by Dewain Barber, who hosts the Barber Championship chess tournament which I participated in last summer, and other chess equipment, souvenirs, and photos from Coach El Mekki and the Paul Robeson Chess Club in Philadelphia. 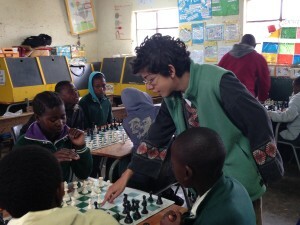 I was on my way to jump start a chess program and exchange at a small rural school that had never seen a chess program, that only just got electricity in one building and had no heating, a school of students who were English learners but whose first language was Zulu and who I was told knew little or nothing about chess. I had no idea what to expect or how I was going to teach them and I had been so busy with World Youth that I felt poorly prepared. I figured I could teach chess basics though, had some ideas of how to begin, and figured after the first day’s assessment I could make appropriate lesson plans. I also attempted to learn some Zulu which is a really interesting and musical language with the clicks. On the first day we packed our trunk with the chess sets from Dewain Barber and the gifts from the Paul Robeson Chess Club and gave a ride to a teacher who was visiting from Austria and who had volunteered to assist with the English classes for a week. The drive to KwaPitela from Sani Lodge and our cozy rondavel was about ten minutes up a winding unpaved mountain pass along which we spotted white heron and other birds mixing with the livestock in the pastures. We parked our car and walked up the dirt drive toward the corrugated iron roofed buildings that comprise the school. A goat greeted us, and the students were at recess playing on the playground and running in the yard. The mountains stood in the distance. As I wrote earlier, the school facilities and materials are quite basic. There is limited electricity and no heat in the classrooms. Each room has blankets to wrap around the students for when it gets really cold. I imagine you need to be pretty dedicated to learning school lessons shivering under blankets in an uninsulated building. We were there at the beginning of Spring, but in the Winter, temperatures can drop below freezing. Headmaster Ndlovu and the teachers identified twelve students who were interested in learning chess. I taught them for two days from the time their recess and lunch ended until the end of the day — about four to five hours, I guess. 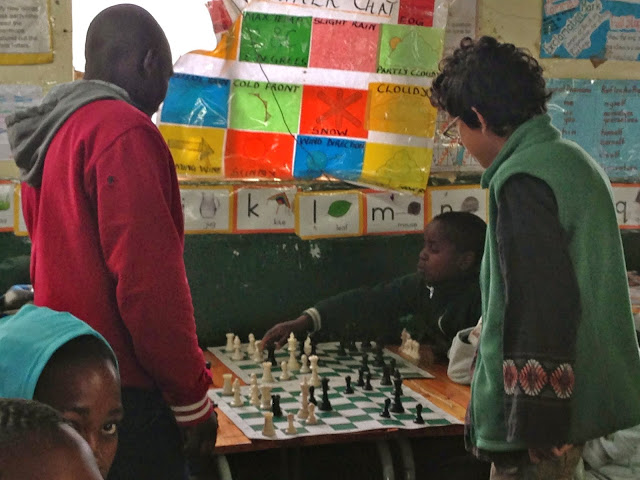 On the second day — a rainy and cold afternoon — headmaster Ndlovu dismissed school early, but all the students in my chess class said they wanted to stay and we did. On the first day I taught them how to move the pieces, how to take with each piece, how to set the board, etc. Then I had them play a game (or two) with each other. Despite the language barrier, they seemed to understand a good chunk of what I was teaching them. I would however see many games where one side mysteriously had two same-colored bishops, and it was definitely not because of under-promotion! I did forget to teach them about castling…but would do that on day 2. Their teacher, Ms. Purity, learned along with them. She really liked the idea of chess and said she wanted to include it as part of the school’s sports program. She said other schools in the area played chess and they would be able to play against them also. It all seemed promising. That whole night I examined my chess databases for a game that would be suitable for beginners, as I wanted to show them an example of an actual game and notation. I decided on a Paul Morphy game that I thought would show them the concept of development and the attack on the weak, undefended, uncastled king. I realized that the game didn’t involve castling… but I would show this as an example of when you didn’t castle when you should have. On the second day we took Russell and Simone’s daughter with us who plays chess and she helped a lot by walking around the classroom and making sure the students understood what I was explaining. I showed them the game and notation on the chalkboard as they followed along over their own boards playing the sides against each other…overall it went well. I stopped the play every now and then and explained the important moves in more detail. I feel like maybe they got a better feel for how the pieces move and some basic ideas. But really they just loved to play and that was good. It was enough to just instill the love of the game in them. 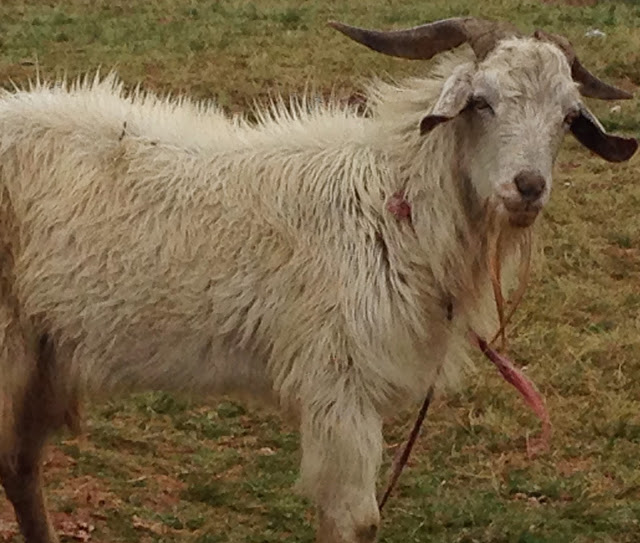 Later they could learn to play better, and better, and better…. 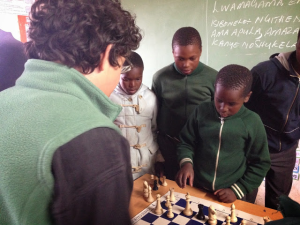 On this day a chess player who is a member of the local Zulu community and who offered to be the team’s coach came and taught along with me, translating some of the more complicated concepts into Zulu. With him and Russell and Simone’s daughter helping it all went well. I think he’ll do a good job continuing the program, though I hope other chess players will come through and help also. Ms. Purity attended for some of the class also. My mom assisted by writing most of the notation on the board and taking the photos and videos. It definitely took a group and will continue to need involvement from the local and chess community to sustain this program and bring these enthusiastic new players to a competitive level. I think it can be done though and that regardless of the outcome the skill of chess will be helpful to the students. It’s certainly been a great skill for me to have learned in so many ways and has become such an important part of my life. I honestly can’t imagine not playing chess. We also shared photos and a letter of greeting from Coach El Mekki and the students of Paul Robeson Chess Club, New Jersey chess coach Malik, and a letter written by a player on the US World Youth team. 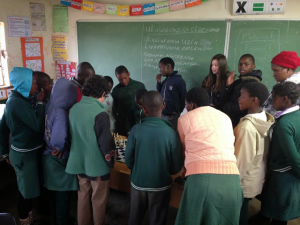 I think the students really enjoyed looking at the photos and knowing that other youth like them exist around the world to one day meet and play chess with. They also had fun choosing the colorful chess piece key rings that the Paul Robeson students sent as mementos. Our visit was greatly enhanced by the remarkable spirit of the KwaPitela students and their teachers, the dedication and love Russell and Simone Suchet have for the community where they live, the unconditional support of Coach El Mekki and the Paul Robeson Chess Club, Stephen Shutt’s prolific ideas and suggestions, Dewain Barber’s generosity and interest in spreading chess, Florri Middleman and the contributions from the Watermark Foundation, Grandpa Clyde and his unwavering affection, encouragement and care for Josh and me, and all our friends who bought tamales, donated money and cheered us along the way. As we left the school on our second and last day, Josh and I walked down the hill toward the village of KwaPitela, the kids in tow kicking up dirt in the road and asking us, were we coming back, were we coming back? They asked repeatedly, even though we told them we were not, at least not for a long time, most probably. Still they kept on as if perhaps they asked enough times we might change our minds. After a while, when a quiet had enveloped us, the smallest & keenest boy rose up and told us all: You are not coming back. We shook our heads, not much more to say. Then one young girl pushed our silent sorrow away, held her head up, the mountain rain falling softly on her face, and said: “I love you.” Spoken in flawless English, the fluency of these simple words cut through the cold mountain air and startled me with their boldness, their power to connect our disparity, to knock over whatever barriers our cultural upbringings had and would wedge between us. I love you said like a daughter saying goodnight to her mom, without pretense or forethought, just simply and naturally. What comfort these words carried. I loved her too and the others and I wanted to hold them and the moment, but then we were in our rented car driving slowly down the rocky pass, the night was falling on us and through the rear view mirror we watched them slip into the shadows and out of sight. Hello friends. I want to play you soon.